When Islamic State came to notoriety last year, many commentators including myself made assumptions about its plans. I wrote for Al-Jazeera that it “poses a far greater threat to Muslims than it does to the west” – and this has remained true. I also said its impact on community relations in Europe and the US “could be devastating” – an obvious prediction that is also turning out to be true, sadly. But I said something else which now doesn’t apply: “Its leaders believe fighting ‘apostates’ is more important than fighting non-Muslims for now. They want to unite the Middle East under their banner before truly turning their sights on the US and Europe.” I wasn’t alone in this assumption: Obama and his team have not engaged ISIS more forcefully also because of the belief that ISIS did not pose an immediate threat to US interests (see this and this). But following the attack in Paris it’s clear that despite Islamic State’s initial focus on local sectarian wars, its priorities have now changed. The execution of journalist James Foley and aid worker Alan Henning showed it that it gained a lot (attention, supporters and perhaps donations) for going after western targets. This goes to the heart of why I’ve been arguing with Al-Jazeera’s Mehdi Hasan over this issue. Mehdi wrote that Russian bombs provoked the ISIS attack, and so do western bombs. The implication is that if we stop bombing ISIS, maybe they’ll stop retaliating. That’s two separate arguments there, one about provocation and other about our response. Keep this in mind: I agree with Mehdi on foreign policy issues far more than I disagree with him. This isn’t a debate about whether western foreign policy is counter-productive or not (it can be, frequently). I should also add that I don’t think he is excusing or justifying ISIS, as some claim. My problem is that just as the Right try and divert debate about ISIS to immigration and refugees, many on the Left try and divert it to foreign policy. I think Mehdi et al only see world events through the lens of western foreign policy. All this obscures more important issues that we need to debate about tackling ISIS. (I spend 90% of my time criticising the right for their diversion, so I’m allowed to criticise fellow lefties too). And it assumes the world revolves around what we think / do. 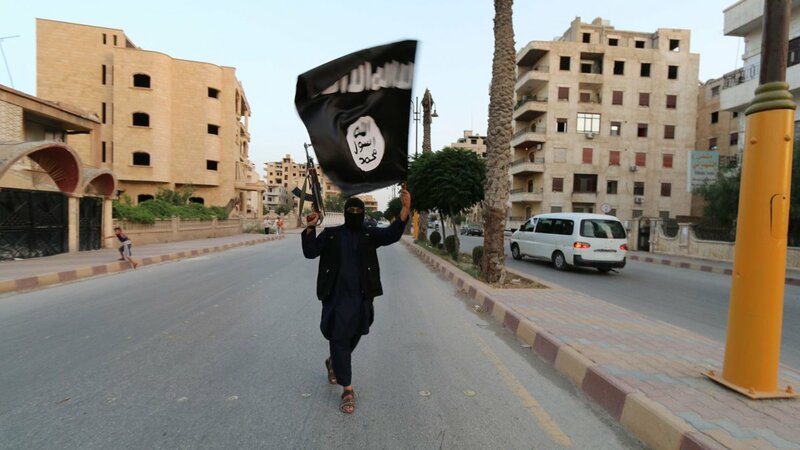 Does western foreign policy drive ISIS? There is little doubt that western foreign policy has enraged some Muslims enough to join terrorist groups, including ISIS. It has served as a recruiting tool for some of them. But this isn’t the whole picture. After all, there are plenty of other minority groups who have grievances against the government (young black men who get stopped and searched or face harassment) – but they don’t kill innocent people in response. What annoys me about this narrow focus on foreign policy is that it allows Mehdi (and his fellow travellers) to avoid focus on the other factors that attract Muslims to ISIS. Ask yourself which other group is implementing the Shariah as complete as possible? Ask yourself which group is fully taking care of the affairs of the people as complete as possible? No other group but the Islamic State, so me joining the Islamic State was just a matter of time, for they are able to govern the people and implement the Shariah on a large scale — protecting the Muslims, their wealth, health and religion. Everyone can contribute something to the Islamic State, as it is obligatory on us … If you have knowledge on how to build roads and houses, you can be of use here. So do not say to yourself, ‘I will never succeed in my Hijrah.’ Most of those who have tried, have successfully reached the Khilafah. Amongst them are those who travelled by land, sometimes on foot, from country to country, crossing border after border, and Allah brought them safely to the Khilafah. For ISIS, reaction to western foreign policy isn’t the motivational driver, it doesn’t even seem to be the key driver for its recruits, as much as some wish it to be. It is the call to join the true Khilafah that is driving ISIS propaganda and apparently many of its recruits. Unless this is challenged in a pretty substantial way, western foreign policy is a bit irrelevant. Will bombing ISIS provoke them into attacking us? According to Mehdi Hasan et al, yes it will. But that is the wrong way to look at it. The key question is: would avoiding any military engagement with ISIS make us safer? The answer is a resounding no, especially if the experience of others is anything to go by. Ethnic groups that have been attacked by ISIS unprovoked (Yazidis, Hazaras, Turkmen, Shabaks and Christian nuns) – all of which started before the world had even heard about ISIS. Countries attacked by ISIS (or its affiliated groups) unprovoked: Tunisia, Libya, Egypt, Lebanon, Nigeria, Bangladesh, Somalia, China and more. So clearly, the claim that Islamic State’s actions are a reaction to provocation is ignorant. Its own videos repeatedly cite verses from the Qu’ran about killing all infidels. 4) it gains (attention, notoriety, support) when it attacks western targets. So how on earth can anyone seriously claim we shouldn’t provoke them, or that we can avoid conflict if we stay out of their way? This is seriously naive. It’s true that Islamic State’s reasons for attacking people are “multi-causal” (as Murtaza Hussain said on Twitter) – but that is rather irrelevant. Whatever excuse they conjure up for each target (after all, they even justified sexual slavery), we know they seek a battle with western nations. As I’ve pointed out repeatedly, ISIS want western nations to attack with soldiers. What does it matter what reason they give for fighting us? Mehdi then claimed (on Twitter) his point is simply that ISIS are more likely to attack us (or will do so sooner) if we attack them. This may be true. I don’t think western troops should return to Iraq or Syria for strategic reasons, but air-strikes have so far helped avoid the Yazidis being wiped out and the Kurds in limiting ISIS advances. Should we just sit by and let ISIS commit massacres one after the other in fear of being attacked earlier? That is advocating cowardice. Will we avert conflict with ISIS if we sit around and do nothing? No. Is it right to sit to do nothing? No. ISIL’s modus operandi is massive disruption: it doesn’t care who it attacks (it even ridicules the Taliban and Al-Qaida in Dabiq) and its soldiers aren’t afraid of dying. It’s willing to kill innocent people (even Sunni Muslims) in any country without provocation. Arguing about whether our actions make it less or more likely to hit us sooner or later seems like a very stupid debate to have. Did the invasion of Iraq create the conditions for ISIS? Yes, it did. But ISIS has “six fathers” – of which the invasion is just one. As Amir Ahmad Nasr wrote, “the mindset that helped birth it has become far-too-common.” And the invasion was 12 years ago, while most fighters have gone over in the last 2 years while America has retreated from the Middle East. Is western foreign policy helping get ISIS recruits? Yes, I’m sure it is. But a large proportion of its international recruits seem more interested in joining because they think it’s their religious duty and want to help build the Khilafah, than anger over foreign policy. And should we provoke them? Well it would be a pretty stupid idea to wait until they get more powerful and then fight them. So in this broad context, it’s pretty naive to just focus on foreign policy, which is what Mehdi Hasan seems to be doing. And if they want to kill us anyway, why shouldn’t we try and impede their advances? But more importantly, what about other drivers such as the Khilafah ideal? Who will talk about that? What about a debate on why British Muslims are losing the war against ISIS? What should the strategy be in Europe and the Middle East to counter it? The answer to all of this isn’t and cannot just be ‘have a better foreign policy’ or ‘let’s not provoke them’. That is almost as ridiculous as right-wingers who just focus on refugees/immigration/multiculturalism in response to every terror attack. That ISIS is imperialistic and hell-bent on war should now be beyond dispute. So the debate on how to deal with them is not just about foreign policy (that may be a small component) – but many other issues that are being swept under the carpet while we argue about whether we are provoking them or not. I so agree with everything written above. And add to the list; “don’t attack them because that’s what they want”. Just because they want something, doesn’t mean it’s good for them. ISIS are a death cult. They celebrate death; that which they inflict and receive. Of course they want us to attack them. I agree with everything you’ve written. There is no room for ignoring the issue and they need to be attacked, the question that should be asked is what is the best way to resolve this situation before it get’s worse. Bombing a few fairly indiscriminate targets is the only sap our MP’s will probably be voting on when clearly the response needed should be long-term, far more sophisticated and far better co-ordinated. Good to see you back writing. Do you have any suggestions to a possible solution? If people want to leave, say Europe, and live in a Caliphate, then let’s not stop them. If people do not want to live in the shadow of death, then we should welcome them. Minorities will be murdered indiscriminately and the Daesh Borg will have won. Within their zone. However, with a decent open borders policy, most minorities will have left. Perhaps for areas where Muslims are more tolerant of them than in Daesh held strongholds. Perhaps for the West, perhaps for elsewhere. With an indecent borders policy, the West will be complicit in their deaths. Closed borders are a very first world issue, they do not, really, exist elsewhere. In the long run, Daesh will have to make their own weapon systems if they wish to dominate the world. Given the gap, I doubt that they can do it. Almost hopefully, your mileage may vary. IS are the direct result of the Iraq war, which was an illegal war. The chickens have come to roost, and bombing them will only make them stronger. Our bombs are the bombs of peace and we are the peacemakers! Let’s face the truth IS are amateurs, weekend terrortorials! Our bombs have killed civilians both women and children, yet we our leaders parade around as though they are moral. How dare another set of butchers challenge our hegemony! To challenge the new order! Just to show IS we should support Assad overtly rather than the yellow bellied way gave supported him under the table! Ban all Syrian refugees cod they share a religion with those were fighting, even if they have been unwilling participants to our geopolitical machinations that allowed IS to flourish! Yet we ideologically challenge IS all the whilst shrugging off self introspection both singularly and collectively as allies. Z: “and bombing them will only make them stronger” — so far bombing hasn’t made them stronger, actually, much as you may wish it to be. Agreed, but we do also need better foreign policy that, for instance, takes on the people funding and arming ISIS, the Saudis for one. There has to be a plan to deal with this once and for all. With UK Brimstone weapons systems hopefully improving bombing effectiveness in Syria, bombing should continue to halt the spread of ISIS while a multilateral UN ground force including Russia and Iran can be assembled, initially to support the Peshmerga and Syrian forces and then to erase ISIS and occupy its territory and re-establish original municipal borders and government. A UN Marshall plan of sorts should be formulated to rebuild Syria along with a political settlement guaranteeing security for all regional actors and religious denominations. A truth and reconciliation situation would be laughable but all parties need to be involved. Saudi Arabia and Qatar need to suffer the threat of sanctions or the freezing of their respective Sovereign Wealth Funds if they do not deal with Wahabbi backers, radical clerics and the spread of Salafism. The World Cup should be removed from Qatar. Russia and Iran incentivised to buy into the process. US has to elect a sane, tough President. Saudi-funding of mosques and ‘Islamic’ businesses should be stopped and Western governments simultaneously need to step up measures to deal with extremism within muslim communities. Mehdi Hasan has to stop trying to be part of the problem.